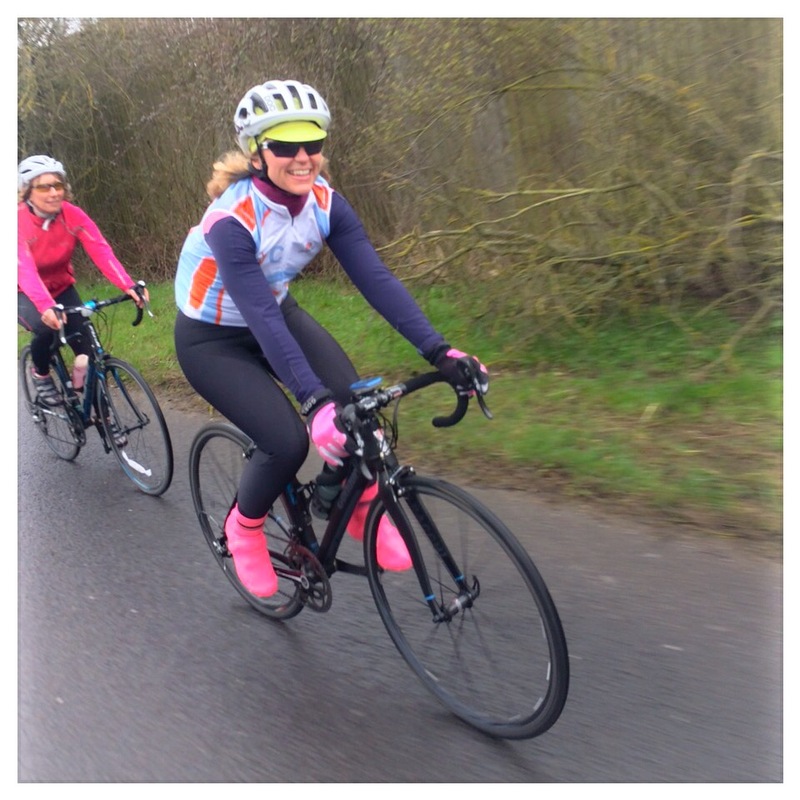 Apart from an occasional guest I’ve been the only girl in my cycling club for 2 years. 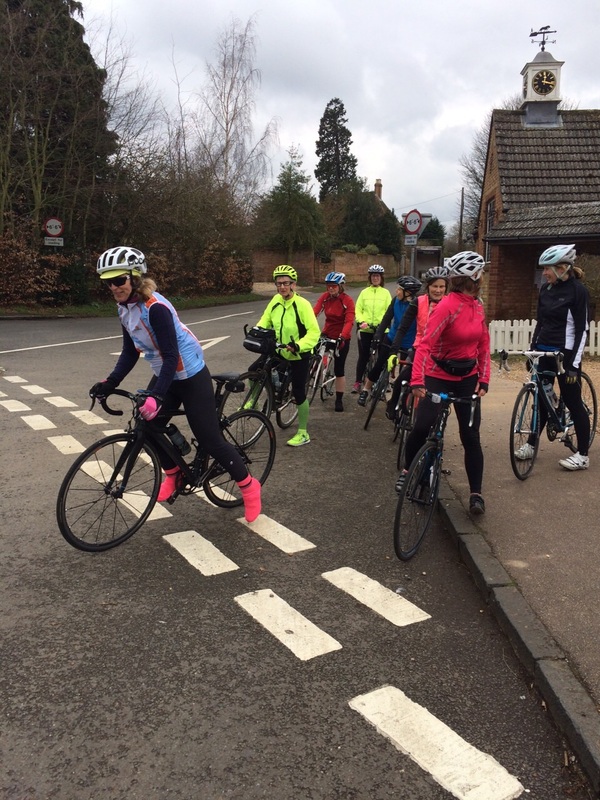 Hoping to change this I decided to start a monthly, ladies social ride, an opportunity for ladies to ride together and be part of Ampthill Velo Club. In my advertising I let the ladies know basic mechanical support would be available on the ride, if required and no one would be left behind. This ride is inclusive; all ages and abilities are welcome. 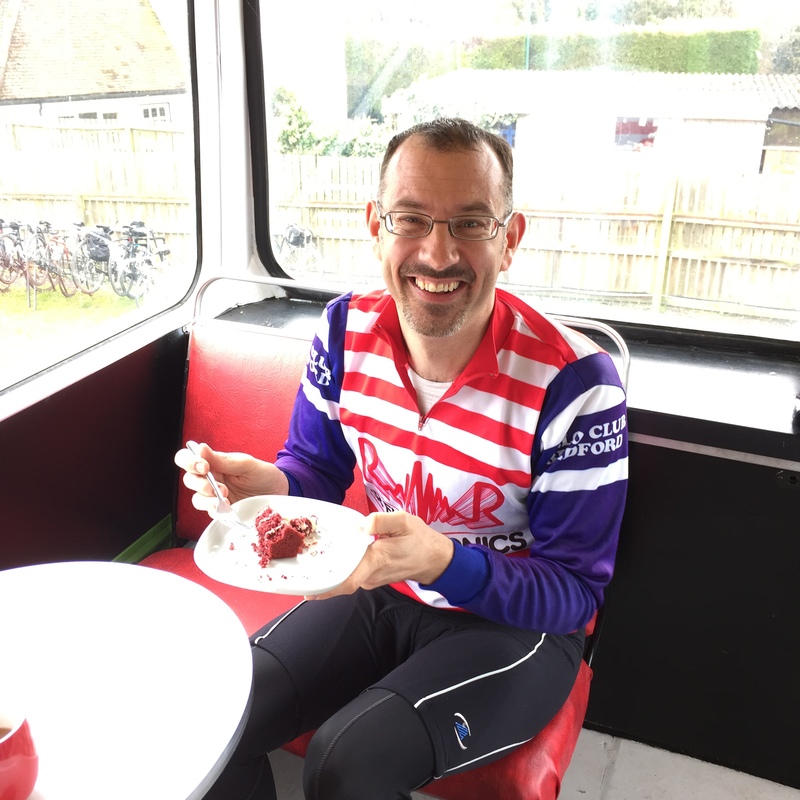 I planned a route, staying local, 20 miles in distance with a stop off halfway at a local cyclist café, the Bike Bus in Cranfield. It’s a converted double decker bus, on a farm. They serve excellent coffee, delicious homemade cakes, cyclists flock there every weekend and the banter is always lively. I advertised the ride on Facebook and via word of mouth. 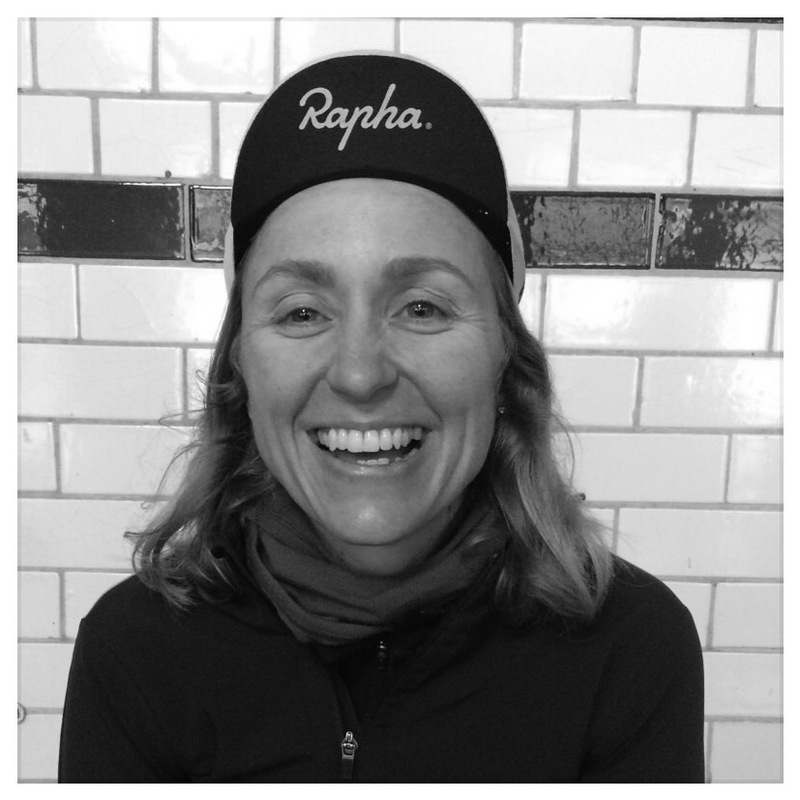 As the days passed, in the lead up to the date 7 ladies signed up to ride. 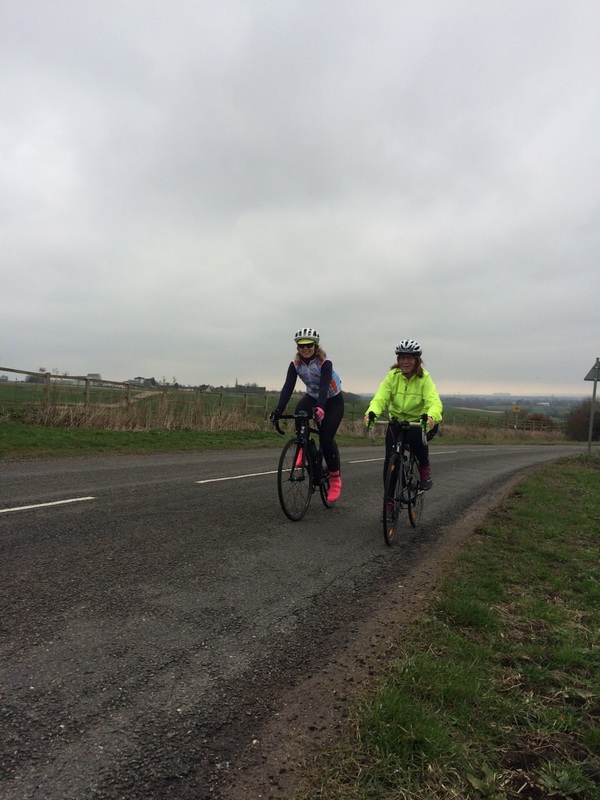 I was a little overwhelmed by the response as the first ride coincided with the Easter Bank holiday weekend. 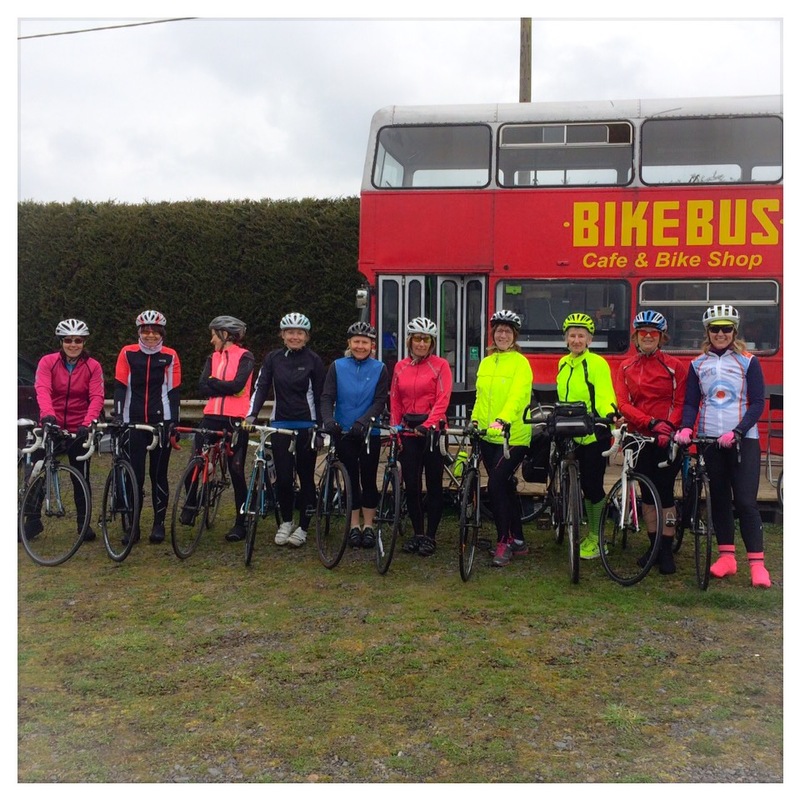 On the actual day, the weather was a bit bleak, cold and windy and we even felt some rain so I was really happy to see 5 of the registered ladies show up but also another 2 join the ride. I work as an Event Producer so I applied some of my job skills to the planning of this ‘event’. Before the ride started I did a short briefing, I was aware one of the ladies had experience of club riding but all of the others were new. Learning the skills of club riding would give everyone a better ride and help keep all participants safe. I explained the basics of group riding going through the signals, calling for cars, pointing at pot holes and other obstructions in the road, signaling when moving out and passing a parked vehicle or walker/runner in the road, how we slow for horses and signal we’re passing by calling out ‘good morning’ as this can prevent the horse from becoming frightened. 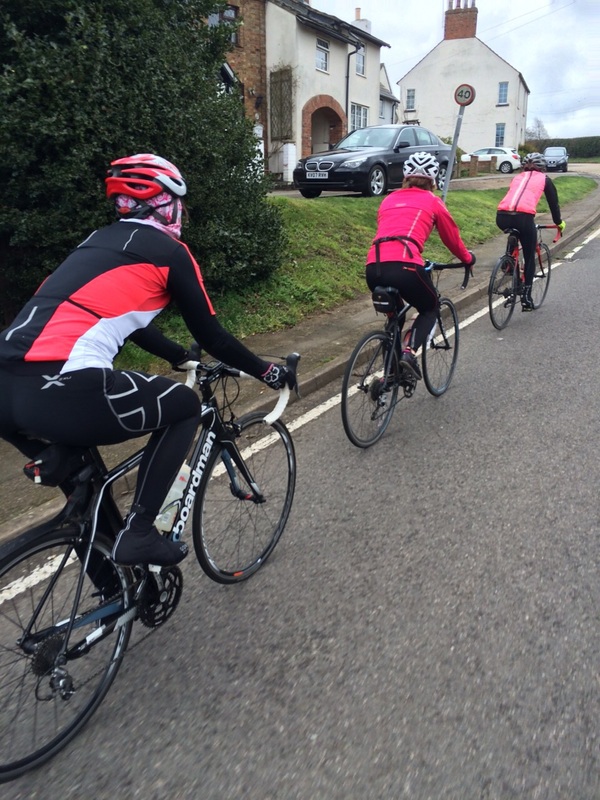 I talked through formation riding and explained the route that included 2 significant hills. We have some decent hills in Bedfordshire, unfortunately nothing very long but they get your lungs and legs pumping. 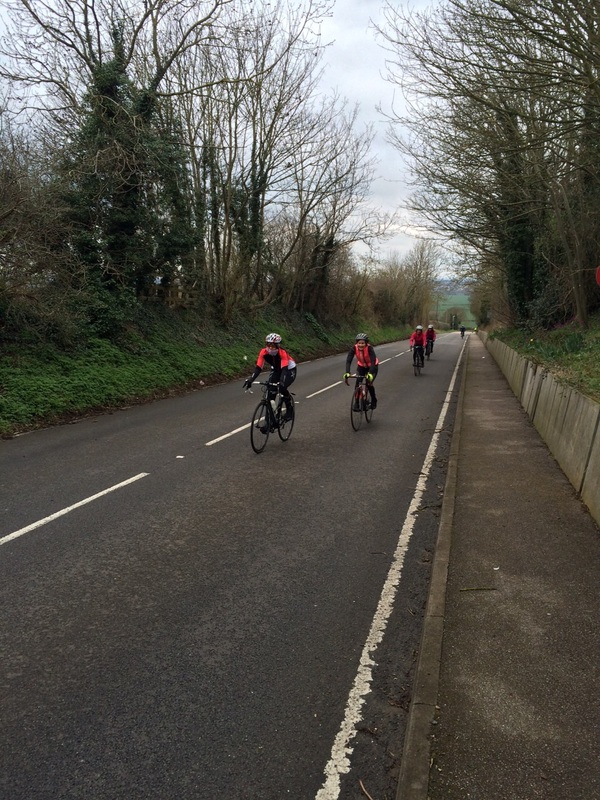 We took on Cranfield before our stop and Ridgmont on our route home. We also had the descent of Cranfield after our stop and it was interesting to learn, as many ladies didn’t enjoy descending as ascending. The range of abilities through the group varied but we all managed to stay together and there was some great formation riding through the session. The ladies worked well together and most importantly everyone had a great time. The feedback and response has been really positive and we’re all set to ride again next month, ongoing we’ll meet the first Saturday of every month. I’m no longer the only girl in the club and I’m really proud of what we’ve started.